← PREVENT OR GET OUT OF NECK PAIN FOR GOOD! WHY SHOULD WE BOTHER REDUCING CHRONIC INFLAMMATION? “constant or out-of-control inflammation in the body leads to ill health, and eating to avoid constant inflammation promotes better health and can ward off disease”, says Russell Greenfield, MD, a clinical assistant professor of medicine at the University of North Carolina at Chapel Hill and a private-practice physician. “It’s very clear that inflammation plays a role much more than we thought with respect to certain maladies”, Greenfield includes. Recent studies have shown that there are over 70 antioxidant phenolic substances in this Chinese cabbage! It is also a wonderful source of minerals and vitamins. Celery has both anti-inflammatory and antioxidant properties. It helps to fight heart disease as it improves blood pressure and cholesterol levels. It’s seeds help to combat bacterial infections as well. Add it to your soups, salads or juices! medications. This is most likely due to the strong anti-inflammatory compounds found in lipids within the oil. I love to use coconut oil to cook my eggs, or enjoy spoonful for an afternoon boost. Blueberries have been known to keep our motor function sharp, improve memory and ward off cognitive decline. They contain quercetin which is a powerful flavonoid that fights inflammation and even cancer. This delicious fish is full of Omega 3 Fatty acids which have been shown to ward off chronic conditions such as heart disease, cancer and arthritis. Ensuring we are ingesting enough essential fatty acids is one of the best ways we can prevent inflammation. It is beet’s powerful antioxidant, betalain, that gives them their beautiful color. Beets fight to repair damage that inflammation has done to our cells. A huge bonus for this root veggie is that it contains a significant amount of magnesium, which is crucial for processing calcium in our bodies. Without enough magnesium, calcium can build up in our bodies and lead to problems such as kidney stones. 7. GINGER – In Ayurvedic medicine, ginger is recognized for its ability to break down toxins that have accumulated in our organs. It acts as an inflammatory by reducing inflammation that is caused by overactive immune responses. This entry was posted in About, anti inflammatory diet, fitness, life tips, natural remedies, nutrition tips, weight loss and tagged anti inflammatory diet, benefits of antioxidants, bok choy, food as medicine, ginger, health tips, weight loss. Bookmark the permalink. 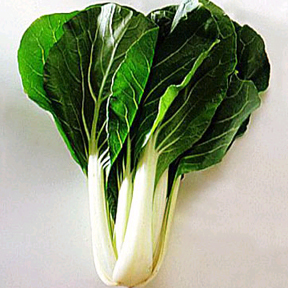 I had no idea about bok choy! You can buy # 1, 2, 5 & 6 at the farmer’s market now!